This semi-bleached cap paper is a cost effective soft tissue with excellent strength properties. 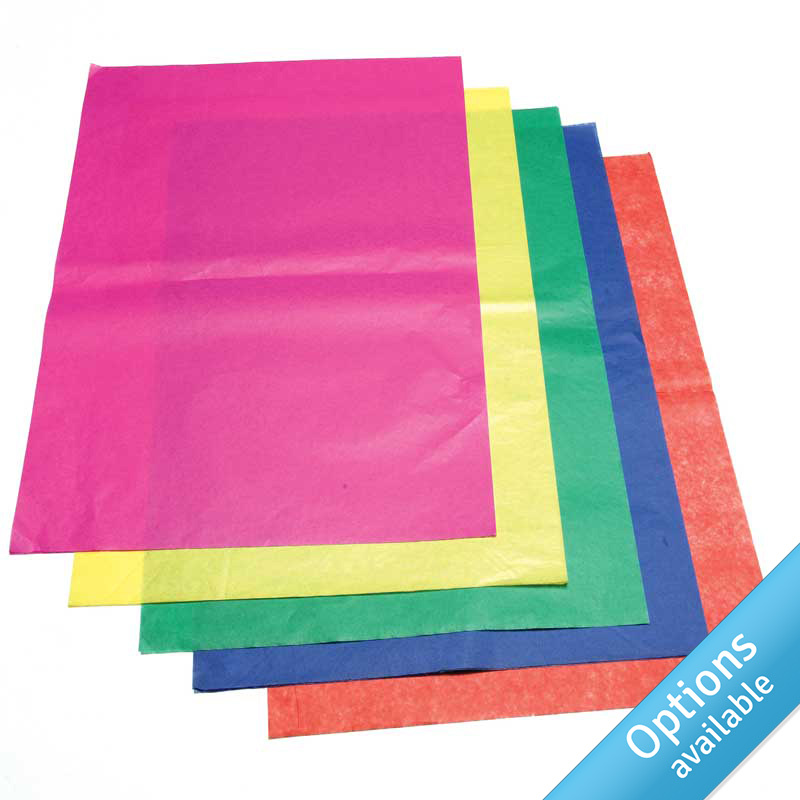 This coloured economical all-purpose quality tissue paper is ideal for general wrapping and protection. This paper is not colourfast so is unsuitable for use with food or food contact or in situations where moisture is present. Ideal for interleaving, scrunching, void filling, wrapping household items, china, shoes etc. Not suitable where items will tarnish easily. Made from 100% wood pulp, and can be cut in half along its length on request. Sold in reams of 480 sheets.